EXECUTIVE SUMMARY: Turkey, which hosts some 3.5 million refugees, is generally considered a transit or bulwark country in the ongoing refugee crisis. What is less known is that Turkey is also generating refugees of its own. According to data from the Greek Asylum Service, over the past two years, the number of asylum applicants from Turkey has grown from 189 in 2016 to 2,463 in August 2018. This represents an increase of approximately 1,300%. Moreover, according to Eurostat, approximately 25,000 Turkish citizens applied for asylum in European countries between 2016 and 2017. 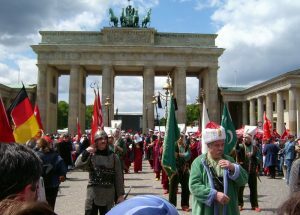 The most popular destination is Germany because there is already a substantial Turkish minority there. Between 2016 and 2017, more than 14,000 Turkish citizens applied for asylum in Germany alone. Compared to the number of applicants from countries such as Syria, Iraq, and Afghanistan, these numbers appear unimpressive. However, if we consider the alarming rate at which the number is increasing, and that Turkey is a relatively stable and somewhat democratic country, the refugee flows from the country are a cause for concern. Their causes and potential impact on the EU warrant examination. Turkish refugee flows were caused, for the most part, by a combination of the abortive coup attempt in 2016 and the ongoing economic crisis. After the failed coup, President Recep Tayyip Erdoğan embarked on a “crusade” to weed out all those suspected of being affiliated in any way with exiled religious leader Fethullah Gülen, whom Erdoğan believes was the coup’s mastermind. For the past two years, Erdoğan has persecuted soldiers, academics, teachers, journalists, and other citizens on suspicion that they are part of the Gülen network. Approximately 150,000 civil servants have lost their jobs and the Turkish police have made over 50,000 arrests. The second major stimulant of Turkish refugee flows is the ongoing economic crisis. The country’s economy is in a shambles. After years of growth, low-interest rates, and massive, government-backed construction projects, the economy is now in freefall, and the consequences for Turkey’s stability are not yet known. Since the beginning of 2018, the Turkish lira has lost 42% of its value against the dollar. Inflation rose from 7.2% in January 2015 to 15.9% in July 2018. Ankara also has a high level of debt due for repayment. According to the estimates of the Fitch credit rating agency for 2018, Turkey’s total financing needs will be almost $230 billion. Despite the bleak economic situation, Erdoğan appears reluctant to implement tighter monetary and fiscal policies out of fear that he will lose the support of his political base. Instead, he has adopted inflammatory, conspiratorial rhetoric against the global financial markets, which he accuses of “waging a secret war against Turkey.” The country’s precarious economic situation is exacerbated by its strained relationship with the US. These factors have provoked fears among the Turkish population of persecution, unemployment, and restrictions on travel due to the revocation of passports. In response to these fears, some Turkish citizens are attempting to migrate to the EU. The most common route is to cross the Greek border via the Evros River and then, with the help of smugglers, continue on to Europe. According to data from the Migration Policy Institute, in 2016, the number of Turkish citizens who were granted protection status was 900. In 2017, that figure reached 5,555. This represents an increase of over 300%. These data represent the share of first-instance positive asylum decisions relative to all decisions made in each country. Positive decisions include refugee protection, subsidiary protection, and humanitarian protection. In 2017, the average rate of recognition of asylum applications from Turkish citizens in Europe was 36.0%. This means that in one out three cases, Turkish asylum seekers were granted refugee status. This substantial increase is striking for two reasons. First, it reflects the speed at which the total number of asylum applications from Turkish citizens has risen. Second, it shows that European asylum services recognize that Turkish citizens are being persecuted. The first major complication when dealing with Turkish refugees stems from the fact that the EU signed an agreement with Ankara in an effort to curb the flows of Syrian refugees. Under the agreement, all Syrians who reached the Greek islands after March 20, 2016, would be returned to Turkey. For each refugee returned to Turkey, one refugee from Greece would be accepted into the EU. Hence, under the agreement, Turkey is considered a “safe third country” that can accept incoming refugee flows. The issue of Turkish refugee flows could be the final nail in the coffin of the agreement, which has been extensively criticized by the United Nations High Commissioner for Refugees (UNHCR) as well as by non-governmental organizations such as Amnesty International and Doctors Without Borders. The criticisms revolve around the fact that Turkey cannot be considered safe as it denies refugee status to non-Europeans and is unable to provide effective protection under international law. While some analysts view the agreement as “too big to fail,” it is uncertain whether Turkish refugee flows will allow the agreement to be maintained as is. Even if the EU chooses to uphold it, it cannot deny that Turkey is itself now a generator of refugees. Nikolaos Lampas is an Adjunct Lecturer in the Department of Politics and International Relations at the University of Piraeus, Greece. He is also a Visiting Research Fellow in the Department of Politics and International Relations at the University of Peloponnisos, Greece.